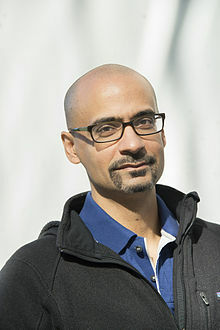 Junot Diaz is the author of Drown and The Brief Wondrous Life of Oscar Wao, which won the National Book Critics Circle Award and the Pulitzer Prize in 2007. He is the recipient of a PEN/Malamud Award and the Dayton Literary Peace Prize.Born in Santo Domingo, Diaz is a professor at MIT. The following is a personality profile of Junot Diaz based on his work. Junot Diaz is a bit compulsive. He is intermittent, he has a hard time sticking with difficult tasks for a long period of time. He is unconcerned with art as well: he is less concerned with artistic or creative activities than most people who participated in our surveys. But, Junot Diaz is also self-conscious: he is sensitive about what others might be thinking about he.